Italian national team earned a pretty tricky draw for their Euro 2012 campaign as Cesare Prandelli’s team are being paired with the likes of Spain, Croatia and also Republic of Ireland. Among those three opponents, the Spaniard are obviously the hardest one on paper but Prandelli also share his concern for the other teams, especially Ireland, who is being coached by an experienced Italian tactician, Giovanni Trapattoni. Prandelli revealed that his team must be mentally ready in the start of their Euro campaign especially since their first game will be against the defending champion, Spain. Not only that, the ex-Fiorentina coach also reserved his concern over Trapattoni’s influence at Rep of Ireland as the veteran tactician obviously knows a lot about Italian football and also the players which will be playing in the tournament. Although on paper, Italy and Spain would be the main favorite in that group, things won’t be a walk on the park for the Azzurri, especially with the uncertainty regarding the availability of two national team stars, Antonio Cassano and Giuseppe Rossi. Both players are suffering from major injury problems and their return to the pitch would take quite a while, but Prandelli remains hopeful over his chance in taking Cassano and Rossi to the Euro. 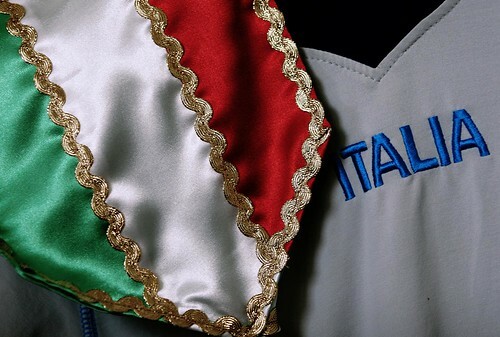 We hope to have Cassano and Rossi there,” Prandelli added. Obviously in order to get through into the next round from their group, Italy must be mentally, tactically and technically ready to give their best in all the group games. Although, Spain and Ireland becomes Prandelli’s most concern, the Azzurri must not underestimate Croatia as Slaven Bilic’s side can actually provide some surprise, especially when they’re being counted too early in the competition.